If you need to send large files to someone over the Internet, easiest way is to send them as email attachments. However this is not the best solution as most email servers providers cap the attachment file size (for both incoming and outgoing emails). Even if your email service allows you to send large files, you can’t be sure if the recipient email service will accept it. Let’s look at how you can easily send large files for free. Currently Gmail allows email messages up to 25 MB while Hotmail allows email messages up to 10 GB with individual attachment size capped at 50 MB. If your files are larger than 50MB, you could use utilities like WinRAR to split files and send them through Hotmail. However if you are hard pressed for time, there are couple of online utilities and cloud services that allow you to send large files for free. Let us explore some of the popular services you could use to share large files over the internet. If you are looking for something quick and easy, simply head to WeTransfer. With WeTransfer, you can upload 2GB per transfer and send it to up to 20 people. It doesn’t matter whether it is one file or many. Alternatively, you could use services like YouSendIt or DropSend. Just like WeTransfer, these web services will let you send large files over internet without all the hassles. Just upload the files via their website, provide recipient email addresses and send. The recipients get an e-mail containing a link to downloads the file. YouSendIt provides 2GB of free storage with individual file size capped at 100 MB. DropSend has file size limit of 2GB and allows you to send up to 5 files free per month. If you need to transfer large files on a regular basis, you could even use YouSendIt’s Outlook plug-in. There’s also plug-in for Microsoft Office that works much the same way. There are plugins for other applications like Adobe Acrobat, Aperture and more. 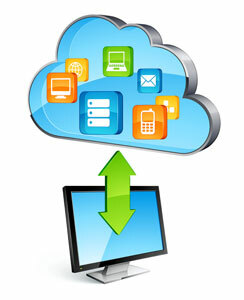 Cloud storage services is a great way to send large files to your friends. If you are already using any of these cloud services, you won’t need to look at other options at all to share larger files. This is how these services generally work. You upload your files to the cloud storage. Then invite your friends to via email to access the files. Recipients can then download the files using the link in the email. One of the best options here is to use Dropbox to send large files. Dropbox provides 2GB of free storage. There is no limit on the file size when uploading from your desktop application. If you are uploading through the Dropbox website, individual file size is however limited to 300 MB. You could also send large files using Google Docs. Docs provides 1 GB of free storage for your uploaded files. Documents, spreadsheets, presentations either created online or uploaded have individual size limits. However these don’t count towards your storage limit. Files that don’t convert to Google Docs format can be up to 10GB each. SkyDrive is another cloud storage service that can help you to send large files over the internet. Microsoft has recently doubled the file size limit from 50MB to 100MB per file. There are some nifty features like caching and hardware acceleration, support for HTML5 videos, Quick views, cleaner arrangement of photos, infinite scrolling. SkyDrive offers offers 25 GB of free personal storage. If you’re interested feel free to shoot me an e-mail. I look forward to hearing from you! Fantastic blog by the way!